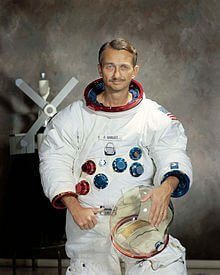 Former NASA astronaut Owen Garriott has passed away at his home in Huntsville Alabama at the age of 88. Garriott was an electrical engineer by profession, becoming a professor in the subject at Stanford University. Having previously served as an electronics officer in the US Navy, Garriott found himself crossing the fence to the US Air Force pilot training programme, qualifying as a jet pilot before becoming a NASA scientist-astronaut in 1965. Garriott flew on the Skylab 3 mission beginning in July 1973. It was the second crewed mission to the Skylab space station and Garriott and his crewmates stayed on the station for nearly 60 days performing experiments and spacewalks. Garriott later flew on STS-9 the Space Shuttle Columbia mission which lasted 10 days and carried the first Spacelab in its payload bay. After leaving NASA Garriott joined private industry including a five-year stint beginning in 1988 at Teledyne Brown Engineering serving as its Vice President of Space Programs. Garriott later developed an interest in how microbes survive in extreme environments. The subject of spaceflight became a family affair as his son Richard Garriott became a space tourist on Soyuz TMA-13 flight to the International Space Station (ISS). We give our salute to Owen Garriott, and our condolences to the Garriott family and to Owen’s friends.